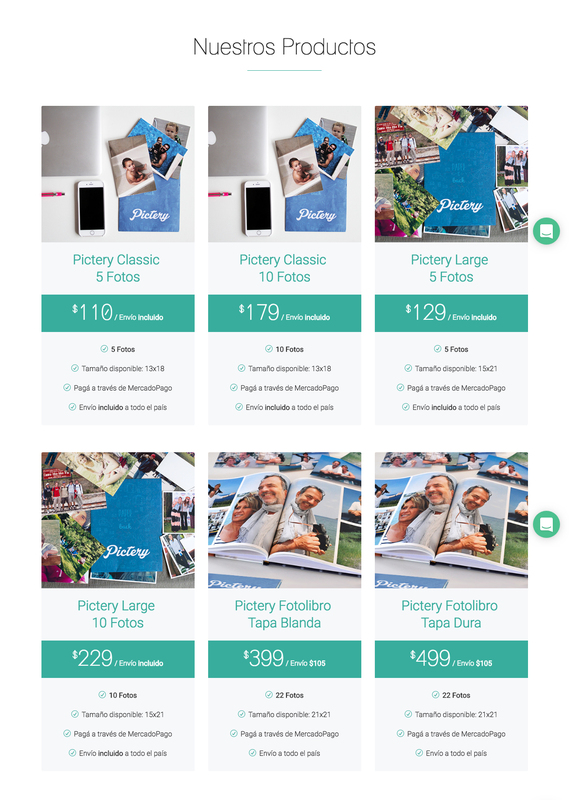 Pictery was born as an idea to find the fastest and easiest way to print smartphone and social network photos. 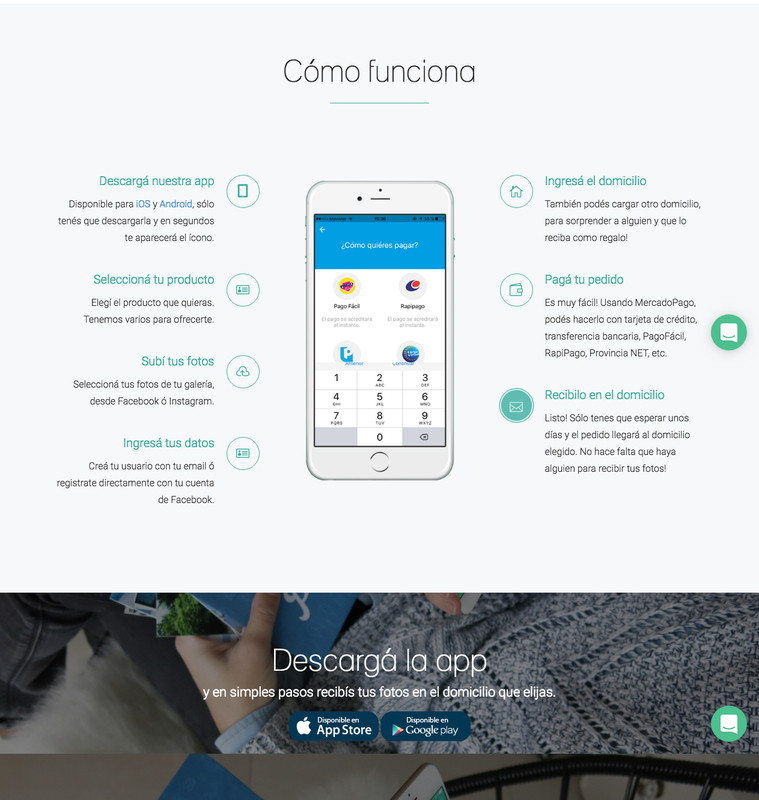 Pictery was looking for a technological partner to help them build an Android & iOS app, to allow users to choose between different pre-build products, customize photos for printing, prepare and pay orders for delivery to a specific location in Argentina. 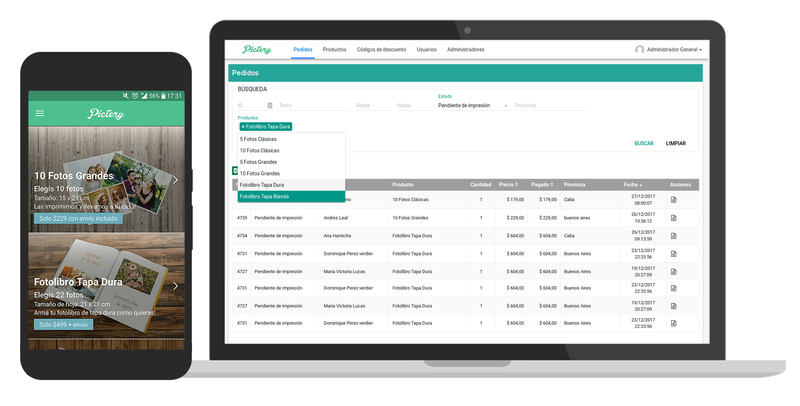 For Order Management, Printing & Delivery, they also need a Web Management Platform to manage all workflow process. 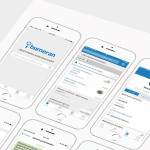 Working for over 4 months, today more than 3000 active users are buying photo prints and photobooks through both apps.